Ignacio Donoso (DL) is a Senior Attorney with FosterQuan, LLP. Mr. Donoso works primarily from the Washington, D.C. office of FosterQuan, LLP. Mr. Donoso is a graduate of McGill University, where he completed an LL.B. degree as well as a Bachelor of Civil Law and a Bachelor of Arts (with Distinction). He also completed an LL.M. degree from the George Washington University. Mr. Donoso is Board Certified in Immigration and Nationality Law by the State Bar of California. Mr. Donoso's practice focuses on advising foreign investors. He has developed particular expertise in EB-5. He has advised individual investors obtain EB-5 visas through Regional Centers and through investments in their own companies. He has also advised developers in successful applications for designation of EB-5 Regional Centers, and serves as lead immigration counsel to established Regional Centers and their investors in processing I-526 and I-829 visa petitions. Mr. Donoso has published numerous articles and is a frequent speaker on immigration law issues affecting investors. Mr. Donoso is fluent in Spanish and French. Elsie Hui Arias is a partner of Stone & Grzegorek LLP. She has been certified as a specialist in immigration and nationality law by the State Bar of California Board of Legal Specialization since 2007. Ms. Arias has extensive experience in all aspects of U.S. immigration law, including employment- and family-based immigration, citizenship and naturalization, and removal defense before the Immigration Court, Board of Immigration Appeals, and the Ninth Circuit Court of Appeals. Ms. Arias' practice currently emphasizes EB-5 immigration, through which she has successfully represented numerous foreign nationals with their I-526 and I-829 petitions, based on investment with regional centers or individual businesses. She also has assisted regional centers in obtaining initial and amended designations, as well as approval of exemplar petitions, through USCIS. Ms. Arias earned her Bachelor of Arts degree in English literature from the University of California at Berkeley and her Juris Doctor degree from the University of California at Davis School of Law. While in law school, she externed for the Honorable Harry Pregerson of the Ninth Circuit Court of Appeals, and worked as a teaching assistant for the Asian American Studies Department at UC Davis. A member of the California State Bar since November 2000, Ms. Arias is admitted to practice before the U.S. District Court for the Central District of California, and the U. S. Court of Appeals for the Fifth and Ninth Circuits. John Barrett has over 20 years of experience as an economist. He has held positions in the public sector, academia and the private sector. Before co-founding Performance Economics, Mr. Barrett was a Regional Economist at the Bureau of Economic Analysis in the division that developed the RIMS II input-output model. He has been a lecturer of undergraduate economics at Suffolk University in Boston and the Director of Research at the University's public policy think tank the Beacon Hill Institute. He was a Principal at IHS Global Insight, the world’s leading economic forecasting and consulting firm. He was also Vice President of Strategic Analytics at Mullen Advertising in Boston. He is an expert on economic impact modeling, helping Fortune 500 companies determine their impact on the national economy and speaking frequently at conferences on the subject. Mr. Barrett most recently was a panelist at the American Immigration Lawyer's Association's 2012 Spring EB-5 Investors CLE Conference held in the Bahamas on April 20-21. He spoke to over 200 attendees on issues regarding EB-5 economic impact modeling and provided guidance around the latest issues the USCIS has raised concerning job impacts in the EB-5 program. He has been a guest speaker at AILA and IIUSA annual conferences on various topics pertaining to EB-5 economic modeling issues. Michele Buchanan is a partner at Stone & Grzegorek LLP, she has over twenty years of experience in the field of immigration law. Ms. Buchanan’s immigration law experience began in 1986 with an immigration firm representing primarily clients from East Asia. She later worked with two of Southern California’s largest business immigration firms, representing a diverse client base, including multinational corporations, major universities, individual business investors, professionals, research scientists, academicians, actors, musicians and artists of various kinds. She also had the opportunity to represent clients applying for US visas at the American Embassies/Consulates in Juarez, Mexico; Toronto, Canada; Halifax, Canada; and Seoul, Korea, as well as clients applying for political asylum and permanent residence under the Violence Against Women Act. Currently Ms. Buchanan’s practice is focused on EB5 employment creation investor cases, and she has successfully represented dozens of investors in their EB-5 applications and petitions for removal of conditions. She also provides counsel to several regional centers in connection with their EB-5 matters. She also represents academicians, artists and entertainers seeking alien of extraordinary ability and national interest waiver benefits, as well as corporate clients. Ms. Buchanan is a past-Chair of the Southern California Chapter of the American Immigration Lawyers Association, and has lectured and published on various immigration topics.Most recently, she presented the Focus on Investors From China panel at the American Immigration Lawyers Association conference in Nassau, Bahamas on April 20-21, 2012: EB-5 Investors & Regional Centers - A Practice Skills. She also spoke at the American Immigration Lawyers conference in San Antonio on October 20-21, 2011: EB-5 Investors & Regional Centers – Navigating Through New Challenges and Building a Sound Practice. Her publications include: "Immigration Update," PIHRA Scope, May 2002; "Spousal Work Authorization Bill signed by President Bush," PIHRA Scope, March 2002; "An Overview of Recent Changes in Immigration Law Affecting Health Care Human Resource Administrators," AHHRA News, 1996; "DV Lotteries – A Mad or Rational Way to Allocate Immigrant Visas in the Nineties," Immigration and Nationality Law Handbook 1996 and 1995 editions; "Non-Traditional H-1Bs and TNs, Emerging Issues in Immigration Law," AILA California Conference 1994. Ms. Buchanan graduated from the University of Wisconsin at Madison with a Bachelor of Arts degree in Asian Studies, concentrating in the study of Mandarin Chinese. She also completed first year Japanese language studies at the University of Minnesota, Minneapolis, as well as coursework at the Taiwan Normal University Mandarin Training Center in Taipei. She received her law degree from the University of West Los Angeles School Of Law and is admitted to the California Bar. Ms. Buchanan is conversant in Mandarin Chinese. Dawn M. Lurie is a partner in the firm's Labor and Employment practice group and leader of the firm's Business Immigration and Compliance practice, based in the firm's Washington, D.C. office. Ms. Lurie has over 20 years of experience advising on U.S. and global immigration and is ranked as a leading business immigration lawyer by Chambers, Legal 500, Best Lawyers, Who's Who Legal, and other publications. Ms. Lurie regularly speaks and writes about immigration compliance and EB-5 matters; she is often quoted by major news agencies and publications, including the Washington Post and the Associated Press. Ms. Lurie advises domestic corporations on a variety of compliance-related issues, particularly related to Form I-9 alien employment verification and E-Verify matters. She has been involved in audits and internal investigations and has successfully minimized monetary exposure as well as civil and criminal liabilities on behalf of her clients. Since the early 1990s, Ms. Lurie has been advising high-net-worth individuals on the EB-5 Entrepreneur Investment visa program. Over the years, her practice has expanded to include regional center representation and compliance work. Ms. Lurie's interest in the EB-5 world is on regional center and project compliance, which has been generally overlooked during the recent surge of growth in the program. Providing creative strategies to private equity funds and developers across industries interested in establishing EB-5 compatible projects and EB-5 Regional Centers, Ms. Lurie routinely explores this alternative to conventional financing. She also serves as co-counsel and mentor to members of the immigration bar, in both the EB-5 and immigration compliance arenas. Focusing on issues that are unique to her clients with a global work force, Ms. Lurie assists companies establish compliance and management programs to move their executives and professional employees to various locations around the world. Ms. Lurie is knowledgeable in global HR disciplines and transactions, including visas, work permits and compliance and how immigration transactions interface with tax, employment, compensation and benefits, corporate formation, data privacy, export controls, and Foreign Corrupt Practices Act. 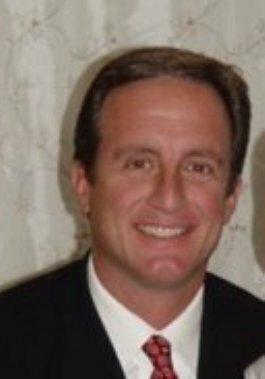 Daren Di Nicola brings over 25 years of experience in the financial services industry, specializing in corporate trust and escrow services. He comes to NESF from Union Bank where he served as Vice President and Business Development Officer. His previous responsibilities included developing new opportunities for corporate trust, escrow and custody banking products throughout the western region of the United States. Daren enhances NES Financial's expertise in trust and escrow services and allows NES Financial to better serve clients' business needs. NES Financial's sub-accounting technology includes specific capabilities for organizing subscriptions, merger and acquisition holdbacks, earnest money, settlements, tenant security deposits, EB-5 Visa escrow programs and more.